A powerful winter storm created blizzard-like conditions in San Diego’s mountains and dropped nearly a foot of new snow on Mount Laguna. Snow level from this storm system was reported around the 3000-foot level according to the San Diego County Department of Public Works. The county reports 2 inches of snow in Descanso, 3-4 inches in Pine Valley, 10-12 in Boulevard at Crestwood, 10-12 inches on Mt. Laguna and 6 inches in Julian. Measurements from the National Oceanic and Atmospheric Administration (NOAA) show 4 inches in Pine Valley, 2 inches in Hesperia and an inch of snow in Apple Valley. 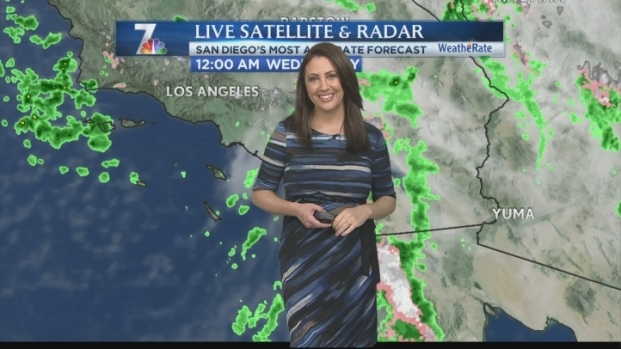 "This storm is bringing an extensive amount of snow and very low snow levels," said NBC 7 San Diego meteorologist Jodi Kodesh. Eastbound Interstate 8 at Willows has been closed to traffic due to snow according to the California Highway Patrol. A section of Sunrise Highway was closed to traffic early Wednesday. Plows worked to clear roadways on Mount Laguna as well as Palomar Mountain to the north. 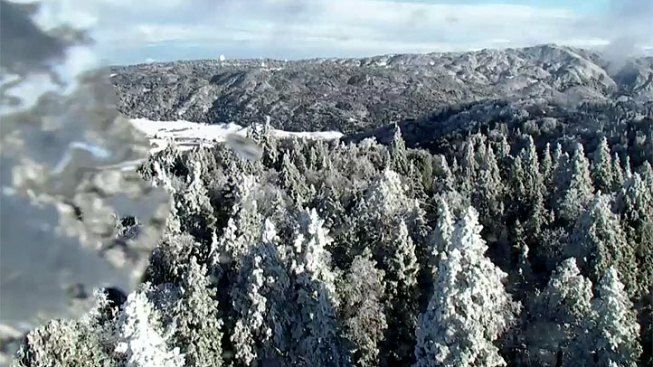 A powerful winter storm has created blizzard-like conditions in San Diego s mountains. NBC 7's Greg Bledsoe reports. Classes were canceled Wednesday for the Mountain Empire Unified School District. The winter storm warning in effect for our area expires around noon Wednesday. The National Weather Service issued an airport weather warning for Lindbergh Field forecasting wind gusts of 30 knots or greater until 10 a.m.
A high wind warning was also in effect for San Diego through 8 p.m. Elsewhere around the county, rain and hail were reported before 7 a.m.
"We just had a little burst of hail roll through the Lake Murray-San Carlos area," NBC 7 San Diego viewer Ben Newkirk wrote. Hail was also reported in Eastlake, Tierrasanta and Santee. 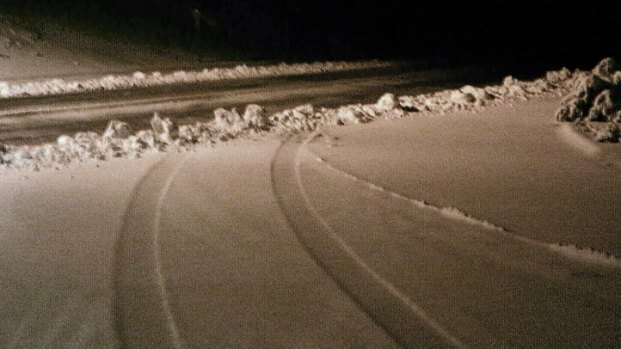 Pine Valley Firefighters warned drivers to be careful since snow rarely reaches such low elevations. When it does, they see more car accidents than usual. It's best to wait until roads and parking are cleared, before taking a drive to the mountains. There will likely be heavy snow, white-out conditions, until noon. Experts consider a storm a blizzard when there are 35 mph winds with blowing snow. Based on the current conditions, mountain residents are experiencing a snowstorm that is almost that intense.